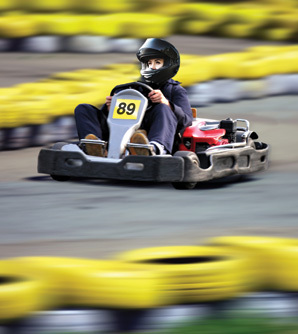 Arrive & drive adult, youth & junior karts on the 800m all weather track. Show the family who’s no. 1 & race your mates on our massive circuit. Get lap-by-lap data printouts to take home. All equipment provided & our team of safety marshals always on hand.